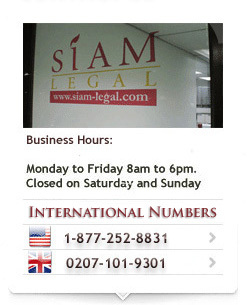 The start-up of a company – known as a private company limited – in Thailand primarily requires registration with the Ministry of Commerce (MOC), the obtaining of the company’s Tax ID Card and VAT Certificate (only if required – this is obtained from the Revenue Department) as well as any other government licenses and approvals that may be required, depending upon the particular kinds of business activities in which your company intends to engage. The following is a broad outline of how a company is initially set-up, and generally the same process must be followed each time a new company is formed, since ‘shelf’ companies are uncommon in Thailand. The people responsible for initially registering the company with the MOC are known as promoters. There must be at least three promoters and they may be either foreign or Thai. The promoters must be individuals as opposed to ‘business entities’ (juristic persons) and will be required to be among the company’s initial shareholders immediately after registration. They are required to hold at least one share upon completion of registration. However, it is worth noting, they are generally free to transfer any such shares to other shareholders or third parties after registration. Promoters must be available to sign any required documentation during the registration process. 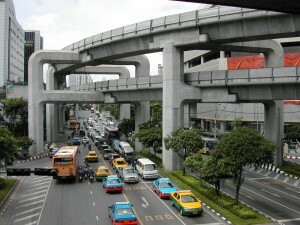 It is not, however, required that they reside in Thailand. The potential legal liability of promoters is generally limited to the par value of shares they will hold after the completion of registration. Promoters are also responsible for paying any expenses associated with the company’s registration. Note, however, that the company is free to reimburse such expenses after registration is complete. How Long Does it Take for the Registration of a Company? Registration of a company normally takes between 2-6 weeks and the time taken usually depends upon such factors as the types of activities in which the company intends to engage, the speed with which required documents are provided, and the availability of persons required to sign such documents. Application for the company’s Tax ID card takes place after registration and can usually be completed within around 7-10 days of the provision of all the required information and documents to the Revenue Department. Where Should Documents for Registration be Filed? Documents for registration should be submitted to the registrar of the Department of Registration of the MOC, or, if outside Bangkok, the filing office of the relevant province.